Thanks for uploading this. Was looking for a long time. not to be published as a comment but could not find a contact email. But i am working on an educational film and would like to get permission to use the first cut here. 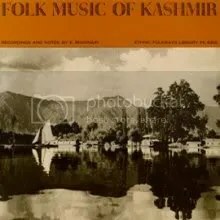 It is a documentary on Kashmir in the 70’s. But I think for this you should ask the copyright holders of this CD. In this case it is Smithsonian Folkways. Moreover the songs posted here are samples of lo-fi quality and may not sound good with hi-fi sound equipments.